[miningmx.com] – GUY Scott, acting leader of Zambia’s ruling Patriotic Party said the election of Edgar Lungu as the party’s candidate for the presidential poll in January was illegal. Bloomberg News quoted Scott saying a group supporting Lungu, who is Zambia’s justice minister, arranged for none of the other nine candidates for party head to be visible during the election at a party conference. Scott, who sacked and rehired Lungu after objections in November, said this “… is obviously a very peculiar form of electoral practice”. 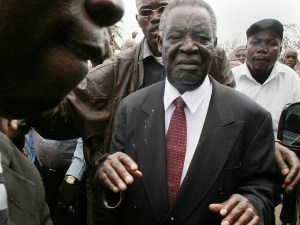 The election follows the death of Zambian president, Michael Sata, on October 28.